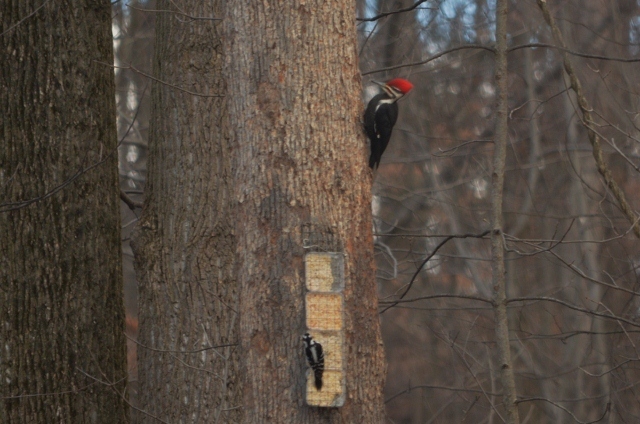 The pileated woodpecker is a large, shy woodpecker that does not normally frequent feeders. 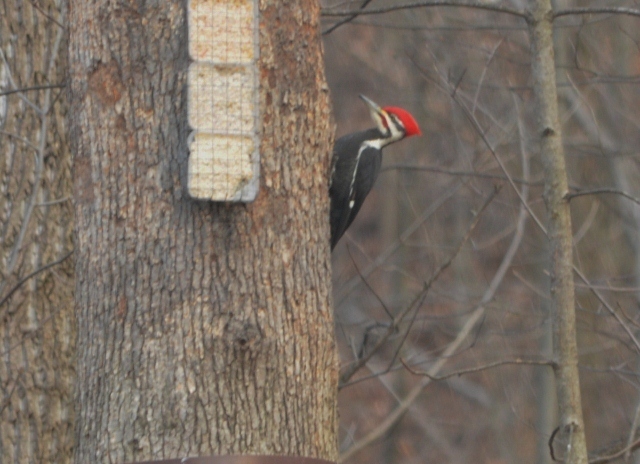 Although, it usually stays in the woods, we are often treated to the sight of a pair of pileateds that live in the woods behind our house as they come to the edge of the tree line to feed. Though not traditional feeder birds, this is one feeder they will utilize. 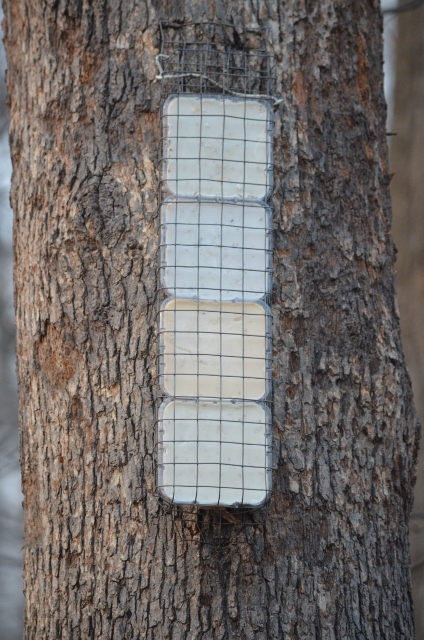 My husband made it by making a wire mold to hold four suet cakes which was attached to the tree about 14 – 16 feet in the air. 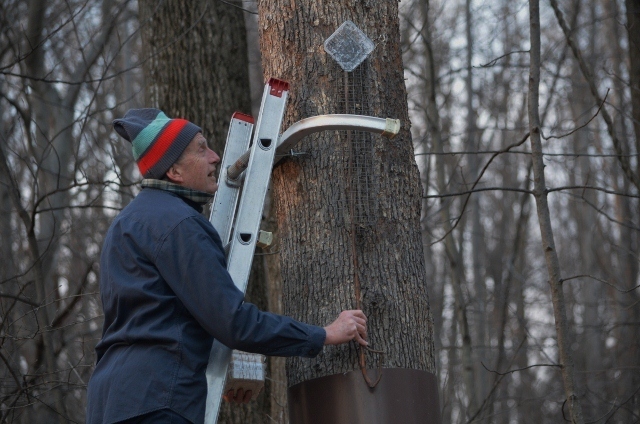 When the suet is finished, my husband uses a long stick to remove the old plastic containers and insert new suet cakes. 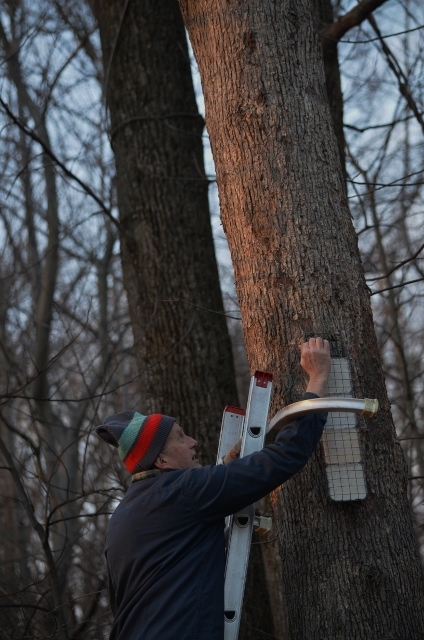 When we first put out the woodpecker feeder, we had problem with a raccoon climbing the tree and destroying everything. 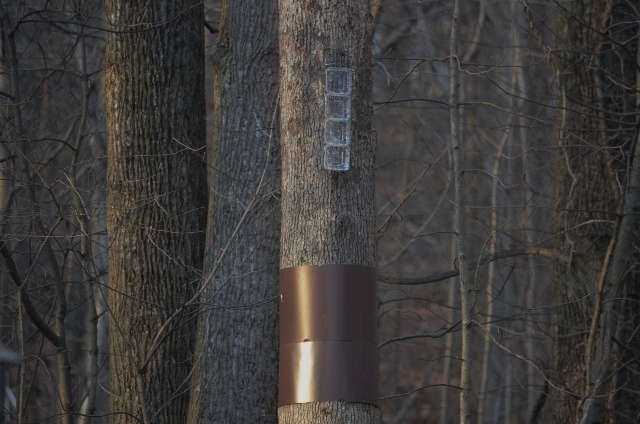 That is why there is now a band of metal attached to the tree below the feeder. That eliminated the raccoon problem. As you can see from the photo, below the birds lick the suet containers clean. 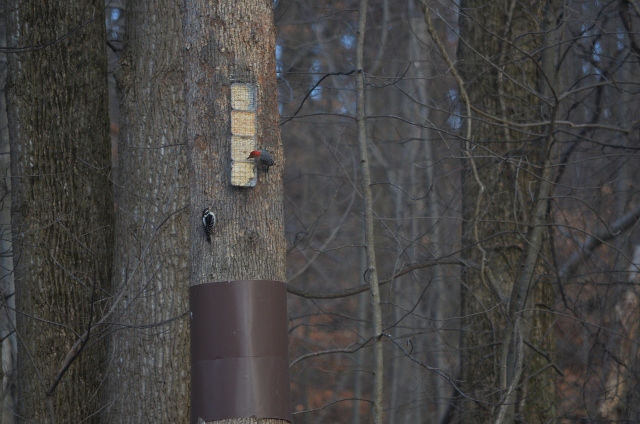 In addition to the pileated, many other types of woodpeckers visit the feeder along with crows, bluebirds and other suet eaters. 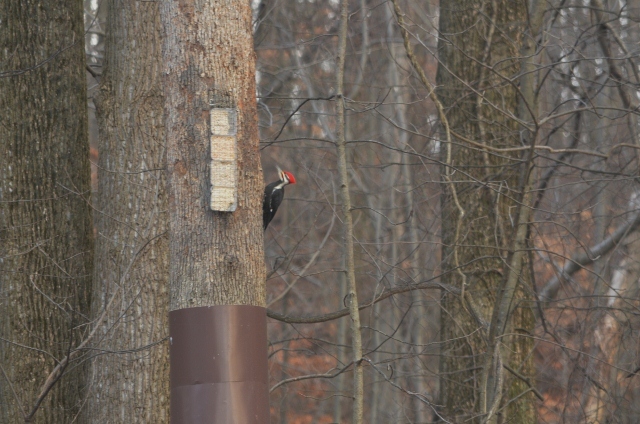 If you live in a wooded area where there are pileateds, you may want to try rigging up a pileated feeder and perhaps you will be rewarded with a visit by the special woodpeckers. How ingenious of your husband to design the “multi” suet feeder. 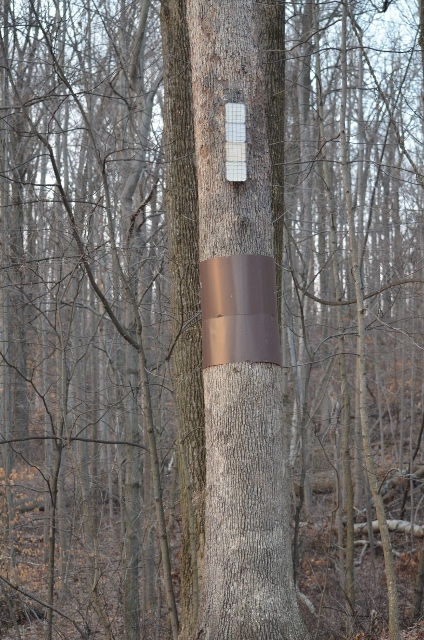 So far, our pileateds don’t come out of the woods, but I’m hoping to win them over! They are great birds to see. Although we don’t have them visit as frequently as the other birds, we will usually see them about every other week. Great Photos and Awesome blog you have! Thanks for stopping by. Appreciate your feedback and I will visit your site. Terrific shot, I hope I see one of those some day they are so elusive. Thanks, they are great birds and such a treat when you see them.